One of the biggest brands on the planet, Nike boasts an unbeatable track-record when it comes to football. Since the 1970s, the famous Swoosh has wrapped the feet of the world’s biggest players whilst they’ve created the sport’s most iconic moments. Nike first scored on the football market back in 1971 with the release of ‘The Nike’ football boot, which was the first to boast their famous Swoosh. Since dipping their toe in the footballing water, Nike have carried out decades of research and testing which has resulted in them defying expectations and helping players around the world raise their game to the next level. 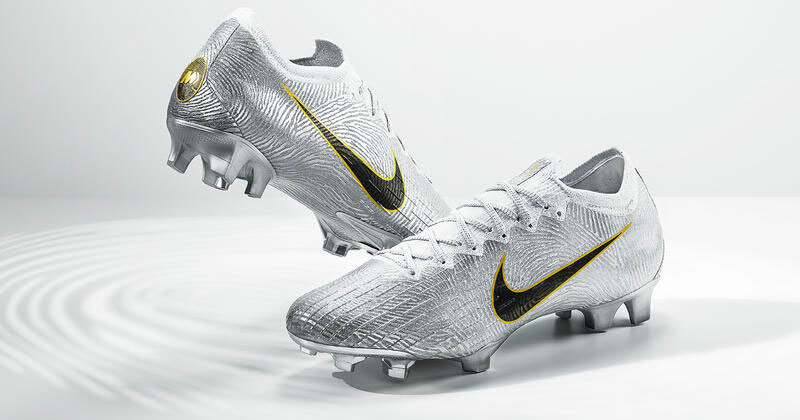 With so many different models, Nike have recently streamlined their leading boot collection. There’s still some heavyweight names such as the Mercurial and Tiempo available, but favourites such as the Total 90s and Magista are no longer in production. But should you be sporting a pair of Hypervenom Phantom Superfly’s or pulling on some Tiempo’s for your local midweek kickabout? Whatever your style of play and preferred colour, we’re here to find you the best ammunition when it comes to Nike football boots. What boots do Nike make? As you’ll probably know, Nike produce an array of boots of which some names will be more familiar than others. The Mercurial will probably take you back to the Brazilian Ronaldo’s ‘R9s’ at the 1998 World Cup, while his former international team-mate Ronaldinho famously sported a Tiempo which was launched alongside one of the brand’s most memorable ads in 2006. Lining up alongside Nike’s legendary duo are the more recent superstars, Hypervenom Phantom, which introduced groundbreaking mid-cut boots and Flyknit technology to the world in 2014. Last but not least the Phantom Vision, the newest member to the Nike family, which includes innovative technology loved by some of the best players in the world. Each silo is part of Nike’s Always Forward Pack and is targeted at a specific type of player, possessing a range of features to help maximise specific attributes. 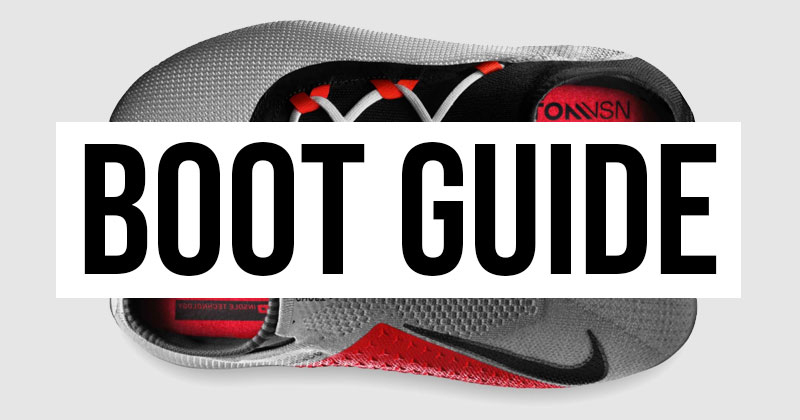 Let’s take a closer look to find the best Nike boot for you. Expect lots of goals with the Hypervenom. Image by Nike. WHO WEARS NIKE HYPERVENOM BOOTS? Light crimson-Metallic dark grey-Wolf grey, Blackout, Racer blue-Metallic silver-Black-Volt, White/Metallic Cool Grey/Volt/Metallic Cool Grey. WHAT TYPE OF PLAYER IS THE NIKE HYPERVENOM FOR? Now on its third edition, the Nike Hypervenom is designed for the finisher. One man who possesses this skill is Harry Kane, who fired his way to the Golden Boot at the 2018 World Cup with the Hypervenom on his deadly feet. Made for true goalscorers, the Hypervenom includes the innovative second-skin fit Flyknit which integrates multi-layered Poron foam pods from lower down in the strike zone. The pods, along with the mid-foot’s super-strong cables, create both a soft touch at low velocity and a firm launching pad to enhance a strike velocity which will give the goalkeeper no chance. At just 196g, the superlight feel will help you beat your opponent to a through ball. Add to this a hyper-reactive plate that combines Pebax material in the forefoot with a sturdier nylon material which offers both support and flexibility. 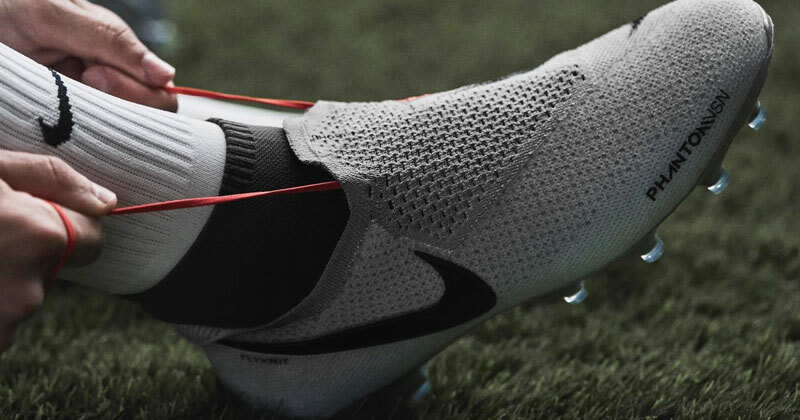 A tongueless design and an asymmetrical lacing system, which expands the ball control area and strike zone, takes any distractions away as you aim to reach the top of the goalscoring charts. The Hypervenom is available in low-cut Flyknit version, while the lower models (Club and Academy) have a selection of the above features but lack Flyknit technology. If you’re the person that your team is reliant on for goals, then take a closer look at the Hypervenom. The Mercurial has a legend like no other. Image by Nike. WHO WEARS NIKE MERCURIAL BOOTS? Superfly Elite, Vapor Elite, Superfly Pro, Vapor Pro, Superfly Academy, Vapor Academy, Superfly Club, Vapor Club. Blackout, Racer blue-Matallic silver-Black, Wolf grey-Light crimson-Pure platinum, Volt-Black. WHAT TYPE OF PLAYER IS THE NIKE MERCURIAL FOR? For over 20 years, the Nike Mercurial has been made for the fastest players on the planet. 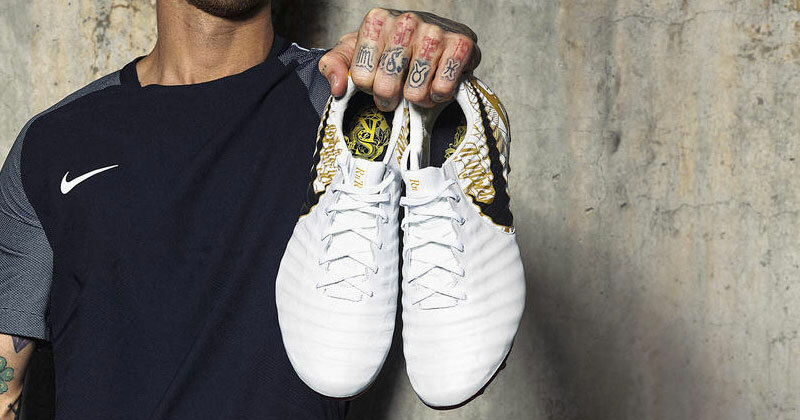 From debuting on Brazil legend Ronaldo in 1998 right up to fuelling his just as prolific Portuguese namesake, Cristiano (who has his own ‘CR7 Chapters’ range of Mercurial boots), it’s become the premier boot for stars who want to maximise their speed. Made for attackers who get fans off their seats each time they receive the ball, both the Mercurial Superfly and Vapor wrap the entire foot in Flyknit technology which eliminates gaps between the foot and the soleplate. This results in the perfect fit which will give you the edge when gliding across the ground. Inspired by cheetahs, traction is provided by studs precisely placed in the forefoot and heel allowing for explosive acceleration in any direction to keep your opponent firmly on their toes. whilst advancements in Nike All Conditions Control gives a matte finish on a texturised upper that is softer to the touch but can still stand up to a ‘cold Tuesday night in Stoke’. All versions of the Mercurial have a bold ‘M’ strategically placed on the heel for when you race past your opponent, but the Academy and Club versions lack some of the above features. 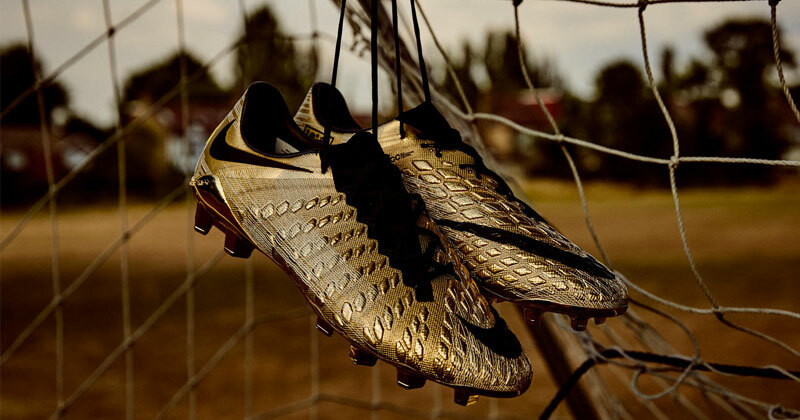 If you’re your team’s speed-demon, then take a closer look at the Mercurial. Nothing says Nike like Tiempo. Image by Nike. WHO WEARS NIKE TIEMPO BOOTS? White/Black/Gold, Blackout, Black-Metallic silver-Light crimson, Racer blue-Black-Metallic silver. WHAT TYPE OF PLAYER IS THE NIKE TIEMPO FOR? The Nike Tiempo is for the players who want to duel and dominate their opponent. If anyone embodies this it’s Spain captain Sergio Ramos who has led Real Madrid to Champions League success the last three seasons. A boot for stars whose main job is to keep the ball out of their net rather than score in the other, superior comfort is the name of the elegant Nike Tiempo game. The seventh edition is made from premium leather innovative and adjustable Flyknit technology for a more dynamic fit. Weighing 22% lighter than its predecessor, the Tiempo, which comes with a modernised heel logo, enhances your ability to win the ball and start attacks as quickly as possible, while Fit-Mesh, which makes its debut in the boot, helps contain your foot to help produce a first touch that makes the game look exceptionally easy. With not a single stitch in the strike zone, the Tiempo's plush feel extends all the way to the heel, where cushioned, articulated pods hug the foot in place. Maximising that stability is the new Nike Hyperstability plate, which is designed for multi-directional movements, while the traction pattern was refined through Finite Element Analysis (FEA). The Tiempo is available in four different models, but the lower range (Club and Academy) do not possess all the features above, including Flyknit technology. If you’re your team’s ball-winner and distributor, then take a closer look at the Tiempo. The newest card in the deck. Image by Nike. WHO WEARS NIKE PHANTOM VISION BOOTS? Black / Black / Black, Light Grey / Black / Grey / Red, Team Red / Dark Grey / Bright Crimson. WHAT TYPE OF PLAYER IS THE NIKE PHANTOM VISION FOR? For the ultimate playmaker, the Nike Phantom Vision is designed for those who play and think fast on the pitch. Belgium superstar Kevin de Bruyne showcased his skills in the boots as his country reached the semi-finals of the 2018 World Cup. A key to any creative player’s game is touch and traction which, thanks to advances in scientific testing, the design optimises. The Phantom Vision sees the flyknit technology taken to the next level with the ‘medial triangle’. The triangle roughly covers the surface between three prominent bones in the foot, this provides an intuitive connection to the area Nike research deems vital to ball control. Gone are the days of ‘breaking in boots’ as, with the Phantom Vision, the groundbreaking internal Quadfit mesh technology means they are match ready as soon as they’re out the box. The design, which has become so successful that it’s been transferred to other Nike footwear products, contains the foot without constricting it. Additionally, Another unseen item within the Phantom Vision is the Ghost Lace system. The Ghost Lace touchpoints were minimized and a one-pull construction implemented for equal tension all the way down the foot. To fit the name, the laces can be hidden to ensure an even striking surface across the boot. The Phantom Vision is available in four different models, but the lower range (Club and Academy) do not come with all the features above. If you’re your team’s creative spark and king of assists, then take a closer look at the Phantom Vision. Whatever boots you decide to go for, you can’t go wrong with Nike. Their meticulous research, groundbreaking testing and constant innovation means you will be safe in the knowledge that your feet couldn’t be better equipped. Whatever the elements, Nike has the footwear to match the surface from firm ground to soft ground, artificial ground, astroturf and indoor pitches. The Always Forward Pack offers different types and models of boots in various colourways, whether you want to be noticed with a pair of Volt Mecurial’s, or go more incognito with Black Phantom Vision’s, there’s something for everyone. For the full range of Nike football boots you’re already in the right place here at FOOTY.COM. We compare prices on every boot on the market, so you can play more, pay less. A football enthusiast who's scored as many Premier League goals as Lionel Messi.